Participant : Director Jae Sung Lee (Vice President of Research Affairs), Gil-Bu Kang (National Assembly member), Group Leader Man Sik Lee of KITECH, Director SuRae Jang (Ulsan Creative Economy Innovation Center), and 50 other associates. 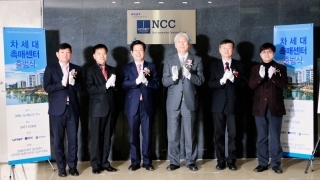 An inauguration ceremony for the Next-generation Catalysis Center (NCC) will be held at UNIST, January 19th, 2016. The center aims to help South Korea’s chemicals sector grow and become more competitive.